Now this was a mission, in all the costume took me 3 weeks to construct and a lot of research and learning new skills. 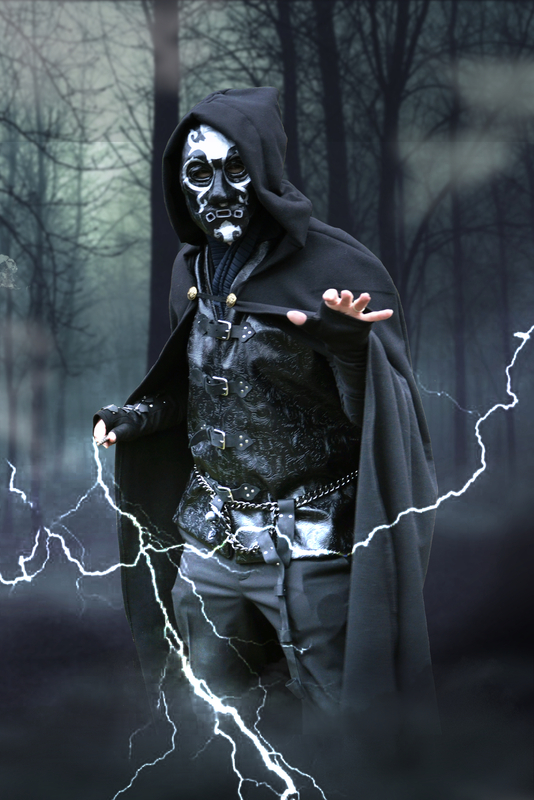 The target was to construct a halloween costume inspired by Lucius Malfoy from the Harry Potter books, dressed up as a Death Eater (follower of bad guy Voldermort). At the bottom of the post I've got a photo without the effects so you see all the details. 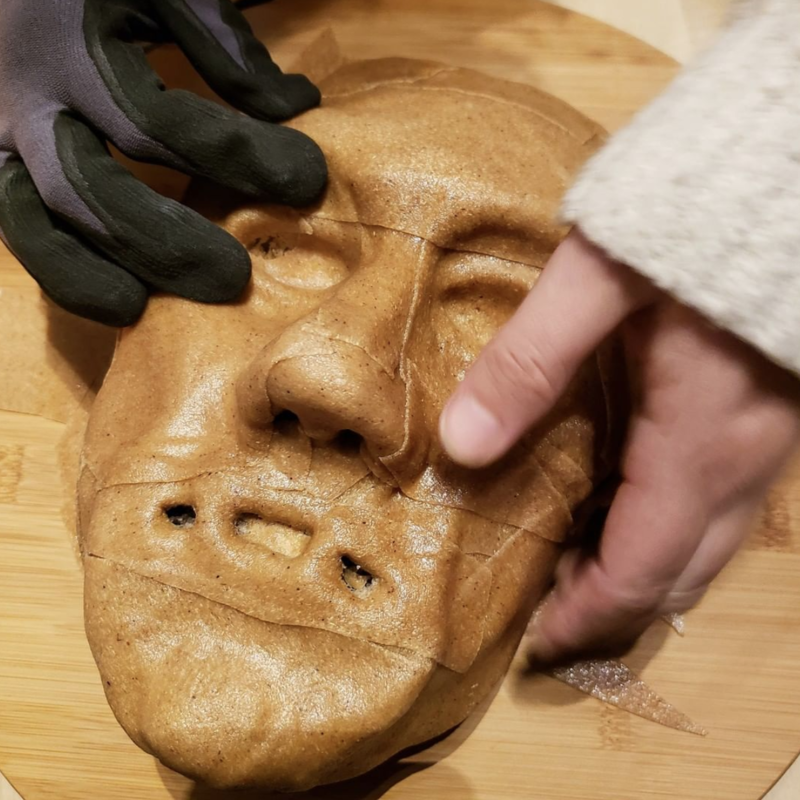 The mask I made by taking an Alginate cast of a dummy head and then adding plaster bandages to it to give it strength before I cast it in plaster. 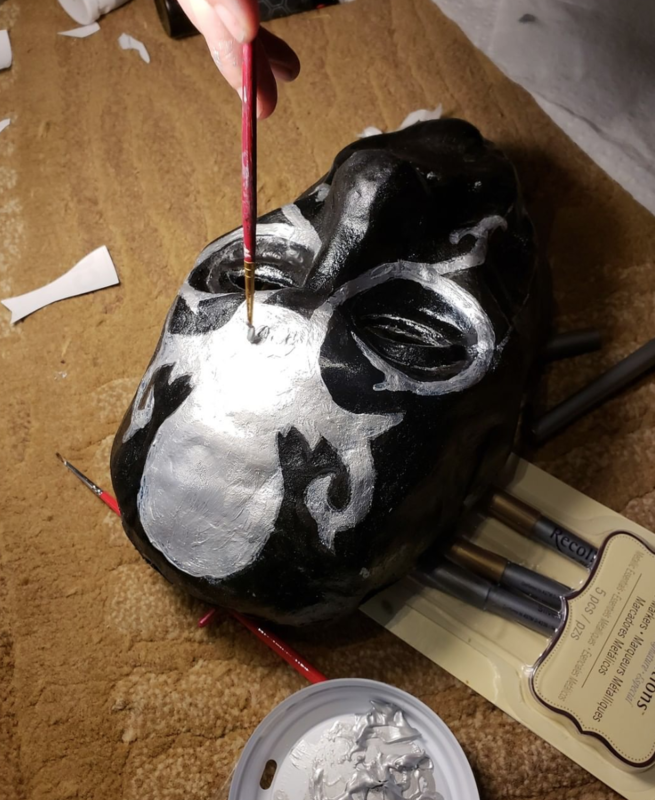 I then took the plaster cast and added clay to accentuate all the prominent features of the masks from the movies. 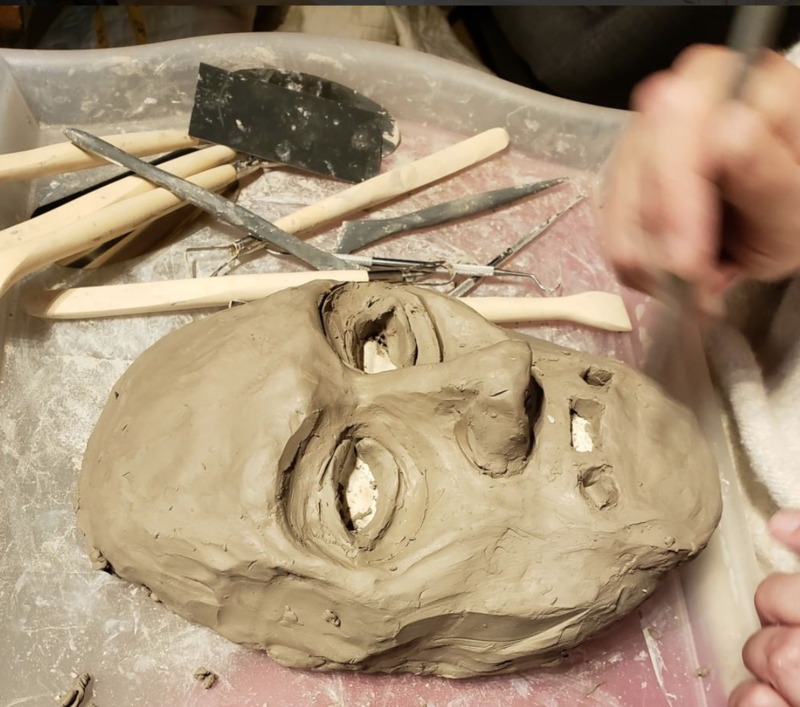 I wanted to do this as it's my first time making a cast and a bit early to jump into life casting so a good way of me learning how that all works. Once I had the clay how I wanted I used Worbla thermal plastic and a heat gun to make a cast of the clay model. And after that dried it was a lot of sanding with the dremel (use a mask to save your lungs) and time to get all the ridges of the thermal plastic smooth enough for painting, detail work and varnishing (3-4 hours). Next it was the cloak. I went thru some free templates and modded one I liked to incorporate a liner for the hood. 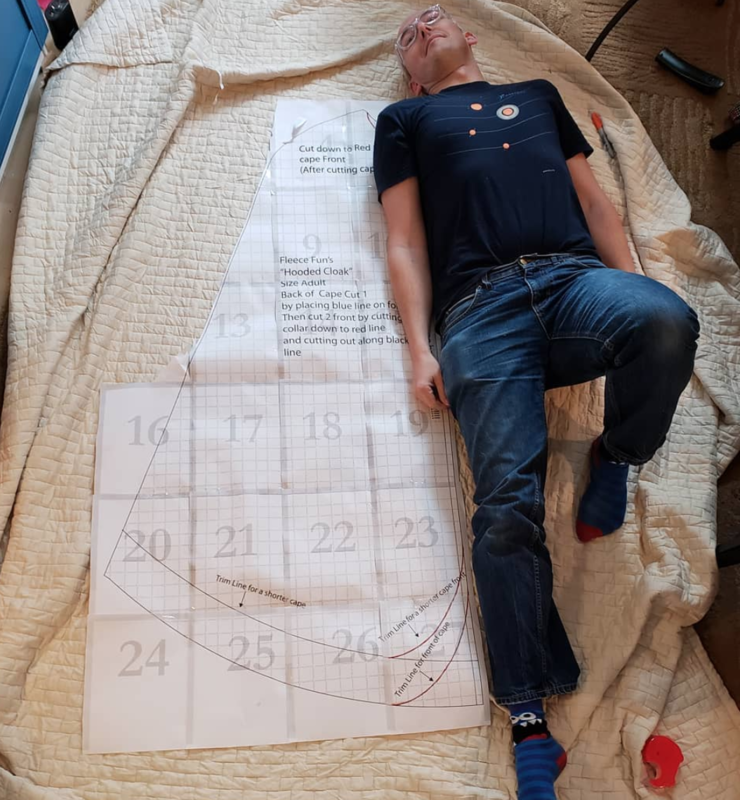 Then it was measuring and a lot of cutting, pinning and about 20 hours of sewing. I added a hem to cloak to hide the bare cuts and give it a professional look. I'm glad I picked fleece for the fabric as it's not too stretchy and really holds out well outdoors, plus the gold buttons I found make it look like you've just walked off a film set! Stabbed myself a couple of times with the pins, taking a break every now and then as sewing this much heavy fabric together isn't fun. Did a victory dance when I got to the last stitch. Next I worked on the Jerkin using faux leather on the outside and fleece on the inside for warmth. I drove to a place outside town called Tandy Leather and talked thru the costume with the staff, showed him the photos and he was really impressed with how much work I put into it. I said I wanted to make it as authentic as possible so he showed me how to do the leather work without busting the bank. He was awesome and I'll definitely be going back. 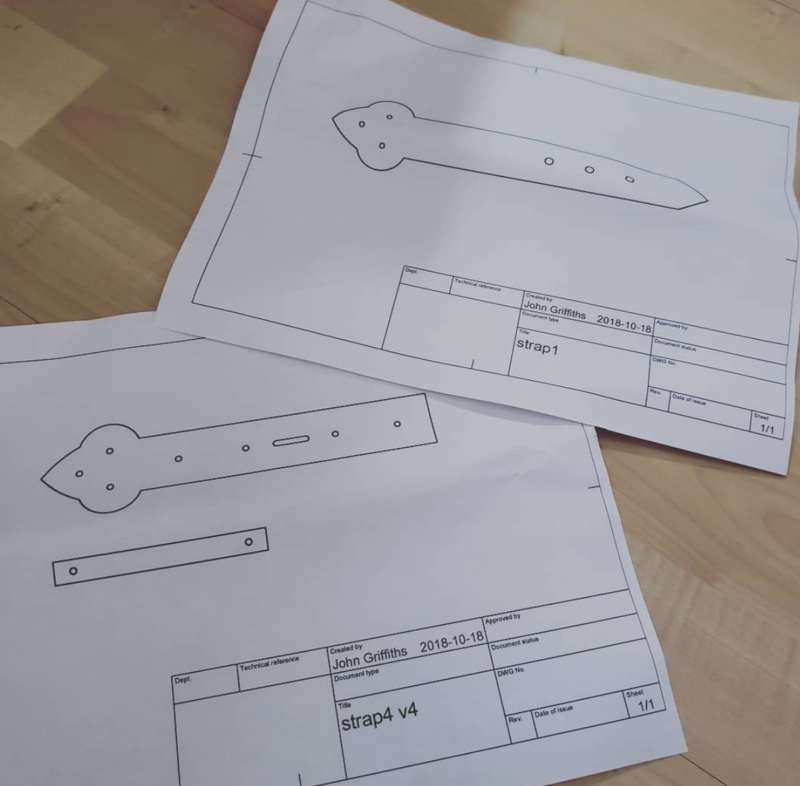 I then put together cutting templates for the buckles in Fusion 360, printed them out and began cutting. After about 3 days I had all the buckles built mimicking how a belt is constructed. I used rivets for all the leather work so it's was strong and started to build a look for it all. 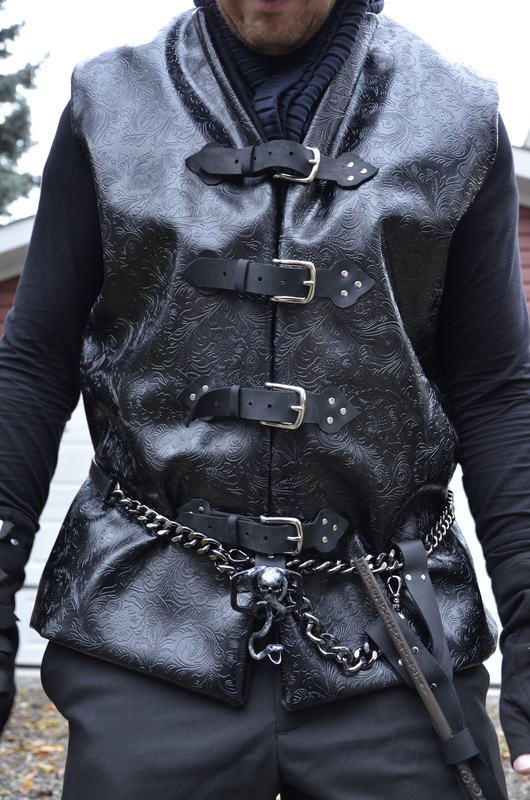 I also used leather work and rivets to build the wand belt with a cheap metal strap I picked up at a thrift shop. Taking it apart to accommodate the wand holder. I also added a loop to the back of the jerkin so the belt would stay in place. 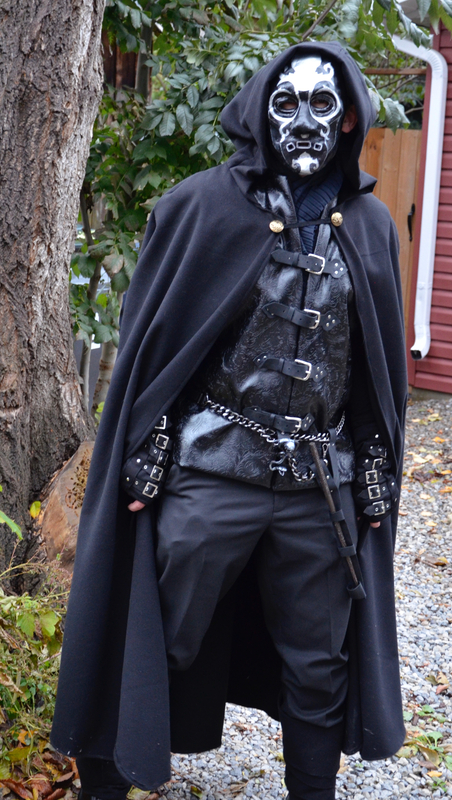 I used a bit of pleated fabric to add the neck cravat and give my Lucius that classy look. The snake belt buckle was more leather work and 3D printing, sanding it down to make good contact the the belt buckle, then painting and weathering. For the legs I cut two length of fleece and hemmed them then added velcro to the end to secure it once it wrapped round the legs. 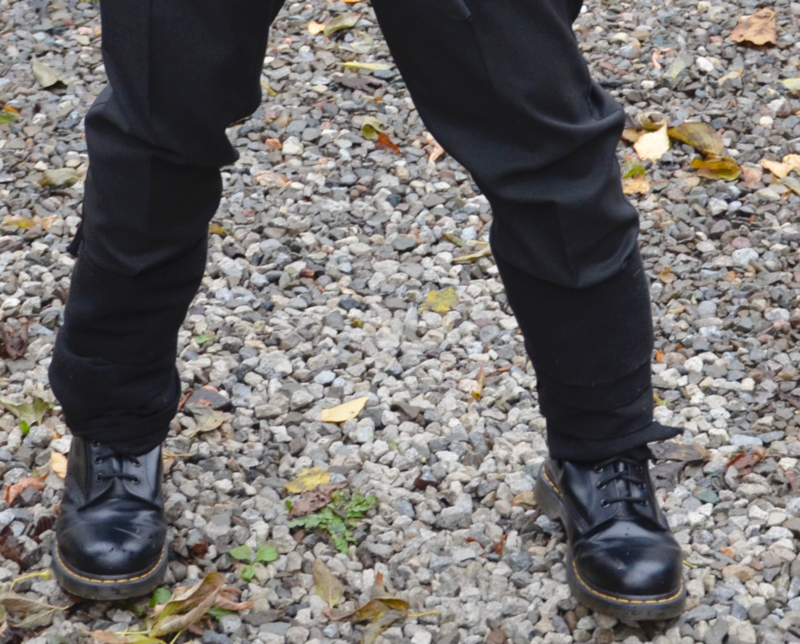 I wanted to make leather spats but this actually goes well with the look giving it a kind of otherworldly look. Similar to World War I leg wraps they had in the trenches. For my first full costume this was a challenge but I'm really happy how it turned out. Me & my wife learned a lot and made some new friends along the way. Can you believe the full costume takes about 30 minutes to put on, but super warm in the cold weather. Can't wait to work on the next thing. Nice work! Where did you get the template for the cloak? Template I got from Fleece Fun, think it was based on the Red Riding Hood cape. To clean up all the edges I used an overlock stitch and then a classic hem so it looked more professional. Took ages just because there was so much fabric. 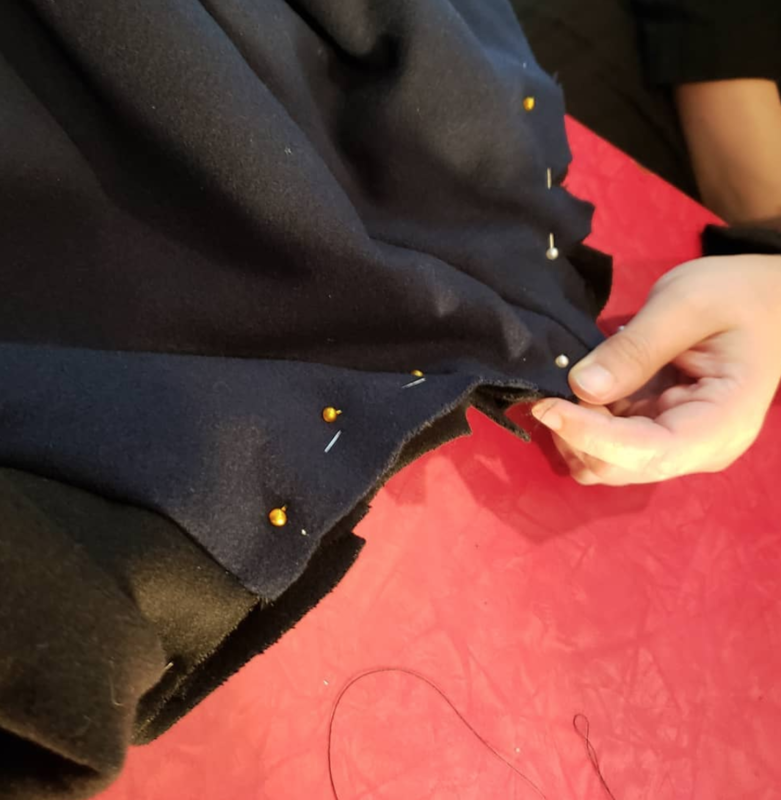 I sewed on the buttons and then cut a piece of leather and cut out holes for the buttons reinforcing the button holes with stitching with my sewing machine and a strong leather needle. P.S. with the sewing make sure to really load the bobbin so you don't get halfway and realize the bobbin died somewhere near the shoulder. Needles I used a stretch needle for the fleece and a demin needle for the jerkin.